Japan and South Korea both lost their final warm up games before heading to Europe to make their final preparations before the big show gets underway in Russia. Japan lost 2-0 to Ghana in a rain soaked Yokohoma last Wednesday and South Korea lost 3-1 to Bosnia and Herzegovina on Friday in Jeonju. Both countries now head to Europe with a lot of things to ponder over, for Japan new manager Akira Nishino is seemingly attempting to change the tactics before their first game in Russia. South Korea on the other hand need to figure out how to solve their defensive frailty to stand a chance of making it out of one of the most difficult groups at the tournament. It give me a childish ironic chuckle that a fella named party got the first Ghana goal against Japan because it was supposed to be a party for the Japanese. Japan did look good in patches but for all nice passing they lacked penetration. Nishino set the team up to play 5 at the back, and started Eintracht Frankfurt defensive midfielder Makoto Hasebe in the back three, presumably to act as a sweeper. The plan seemed to back fire as Ghana broke on the counter attack to exploit the spaces left in defensive areas, but even then both of Ghana’s goals came from Japanese mistakes which they’ll need to cut out. A Hasebe foul close to the box give Ghana a free kick on the edge of the area, with Atletico Madrid’s Thomas Partey smashing it low through the wall and past the keeper. The second goal came from a mistake by Japanese keeper Eiji Kawashima who came rampaging out to stop Ghana’s Boateng rushing through on goal however instead of stopping the ball he took out Boateng and his own defender in the process. The ref give a pen, and Boateng stepped up to slot it in. Japan can knock the ball around nicely and look decent in possession but even with big names in world football like Kagawa and Honda they seem to be lacking a real cutting edge. 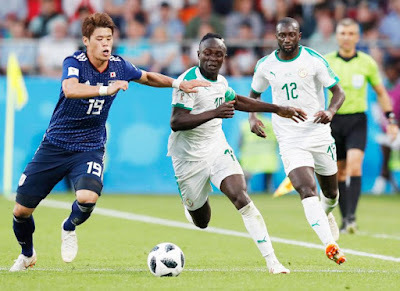 They are going to have to work hard to get goals in the finals if the friendlies have been anything to go by, so that reason it is vital that Nishino finds what formation he wants to use and sharpish, and also the defensive lapses need to be cut out or Japan will be in trouble. Vahid Halilhodzic will be watching on with great interest, but Nishino can’t fail; if he does well then they were right to sack Halilhodzic and if he does badly he can just claim there wasn’t enough time to prepare. South Korea unlike Japan look really exciting going forward, and unlike Japanese manager Nishino, Shin Tae-yong has had some big cahonies to drop senior more well-known players for up-and-coming exciting young talent. Crystal Palace’s Lee Chung-yong is out and even though we at the Tofu Bowl are gutted about that because we’re his super fans, it was the right decision as he has barely kicked a ball in anger for Palace this season. Lee Jae-sung, Lee Seung-woo, and Moon Seon-min all got the nod over the Palace man. Shin’s selections make me think Korea could be very exciting going forward, especially when you add in the talent in the strikers department with Spur’s Son and Salzburgs Hwang offering exceptional attacking flair and pace, but they also have the option of the Peter Crouch styled Kim Shinwook if things come one dimensional or predicable. Unluckily for Korea though their defence doesn’t seem to match the ability of their attack, which means they’re going to have to score two or three goals per game in my opinion to get out of their group. If Korea were in another group I would be predicting them to get out of it, but with them coming up against Germany, Sweden and Mexico they’re going to have to play out of their skin I believe. Shin’s decisions have been butchered because of the injuries piling up. One of the biggest losses for the Korean side is Kim Min-jae of Jeonbuk who is strategically important to the Korean defense. Without a solid defence helping out their exciting attack, I fail to see how Korea will get to the last 16. If they manage it Shin is a genius, it’s unfortunate they have had to deal with so many injury problems as well as being drawn into one of the most difficult World Cup groups. Both East Asian sides at the World Cup will have a big challenge of getting to the last 16, South Korea have looked much the better side in the warm up games, but the injuries are piling up and they have been drawn into the most difficult group. Japan have seemingly self-imploded by sacking Halilhodzic a few weeks before the finals begin, which is extremely un-Japanese like. For these reasons if South Korea or Japan qualify for the last 16 then it has been an amazing success.